I'm such in a grunge bg mood back then, though it does fit the scan itself having that 'roughness' with it. I wanted a cleaner space for my desktop icons, since it was all Windows ME before -_- ... so don't complain about the empty space on the left. Nothing wrong about empty space, I liked this one too ( still do ^^ ). Especially how the abstract bg follows the light of the scan, and the colours are nice. 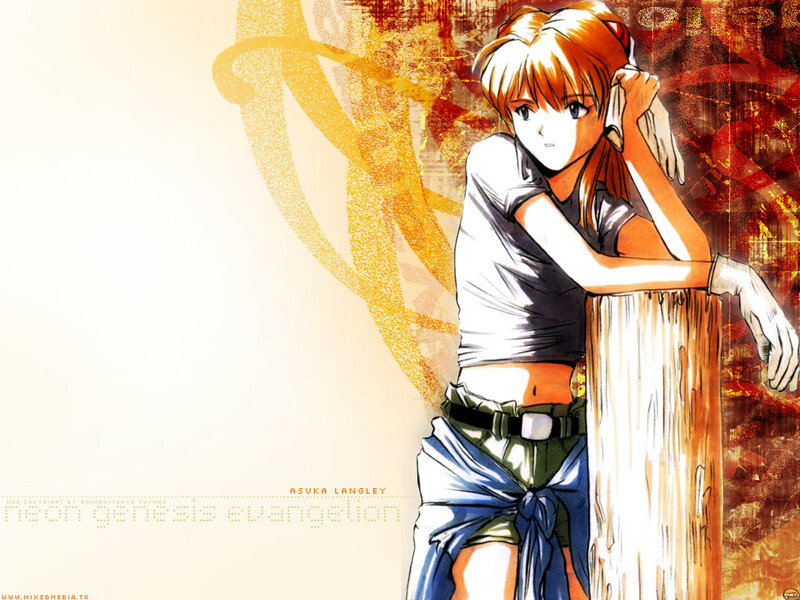 Always wanted to know, is this pic of Asuka a fanart ? Yup.. this bg rules :D! I just love it :D! Quote by GaiJiN is this pic of Asuka a fanart ? I have to agree, very nice effects plus a beautiful pic makes a great wallpaper ^_^. It has emotional effects as well, which I really like :). Hey! This wall is very fantastic. nice job! Beaty can only be captured and you did it well!